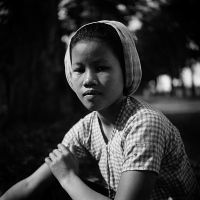 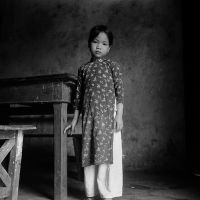 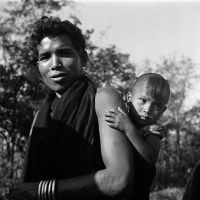 From inside aristocratic mansions to the austere fields of rural Vietnam, black-and-white portraiture has never looked so filled with life and stories. 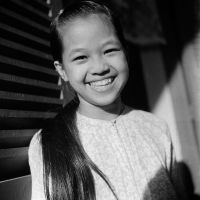 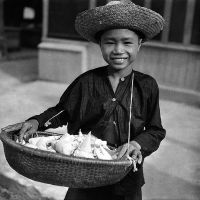 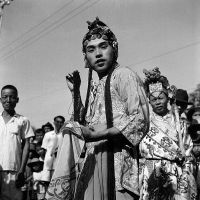 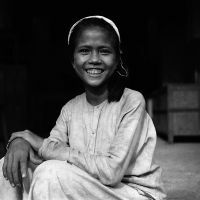 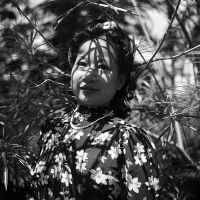 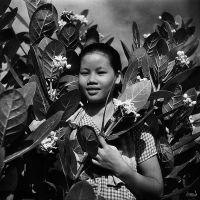 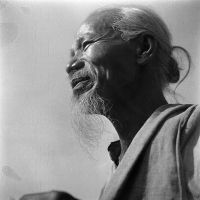 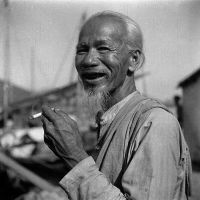 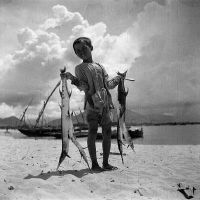 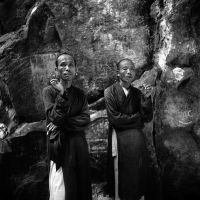 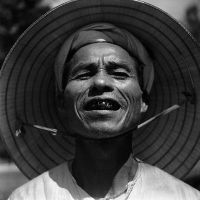 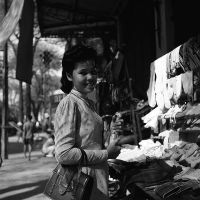 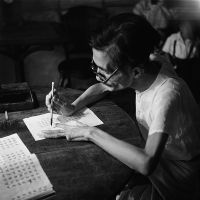 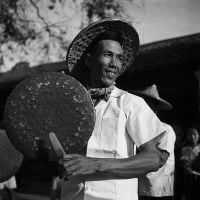 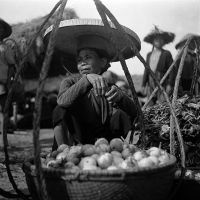 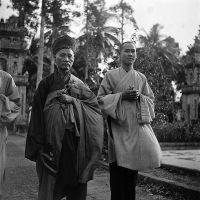 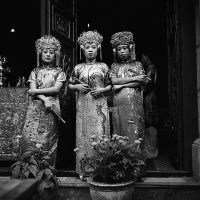 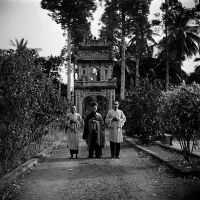 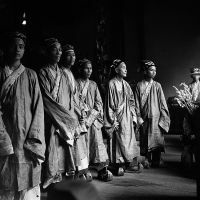 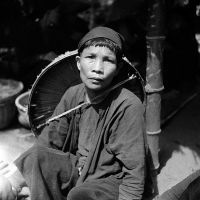 While not much is known about the snapper of these fantastic shots, Michel Huet, the appearance of his work in the now-defunct Life Magazine shows that Huet was commissioned to visit Vietnam numerous times during the 1940s. 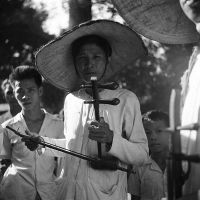 Most shots in the collection below were taken in 1947 when the country was still under French occupation. 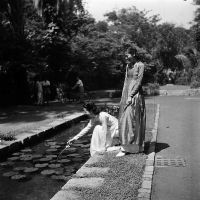 From the look of his work, it’s apparent that Huet had a way with people: his subjects, no matter what they were doing at the time — shopping for socks, playing with lily pads or taking refuge from the sun — come across as interesting, multi-faceted individuals that are contemplative, fun-loving, mysterious, cheeky and conscientious. 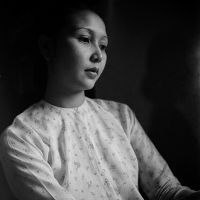 The way Huet played with shadows was also ingenious, circumventing the limited tones of the medium with ease to produce different, but equally inviting works.